When working with the iTextSharp PDF generation libraries for C#, you can use the XMLWorkerHelper object to export a Web page to PDF format. However while doing so you will run into the question of how best to serve the PDF up to your users. Each method has its pros and cons which you will have to weigh when deciding which technique to use. At the end of this article I will give the example code in C# of how to generate a PDF using each of these two techniques. Feel free to read some other articles I have written about using the iTextSharp PDF generation libraries with your .NET code. You will have a permanent copy of the report that the user generated. You can keep this for reference purposes and direct the user to it in future. You do not have to grant write permissions to the .NET worker process to a folder on the Web Server. Doing do in some environments can be a tough sell, so the ability to stream the file without needing any server permission modifications is a great feature. Saving the file to the Server’s drive requires that you set the .NET service account on the server with enough permission to write to a folder on the drive. These permissions may be difficult to get depending on your level of access to the Web server. 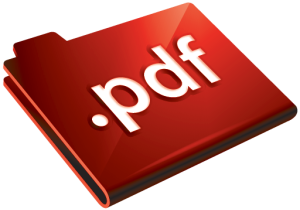 When streaming out the PDF file you cannot control the window size or any user-specific setting such as the PDF zoom level. This is entirely dependent on the user’s settings. Another possible annoyance for users is that the user is prompted to confirm if they want to open or save the file, rather than having the file directly streamed. The streamed file is not permanent and is gone as soon as it is generated. A file saved to the server can always be referenced. These reasons alone may be enough to make you prefer to save the generated file to the Web Server’s hard-drive. This is the main report page that both other pages will use to turn into a PDF report. It’s a simple example consisting of a hard-coded GridView control. This page shows you how to read the report generated in the CSharpTestReport.aspx page, and then how to stream the report as a PDF file directly to the client browser.